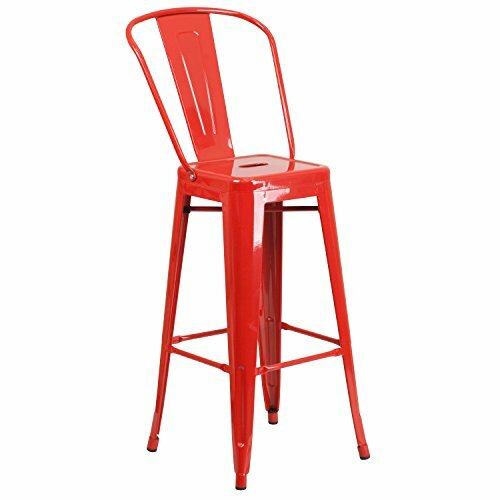 Completely transform your living or restaurant space with this vintage style barstool. Adding colorful chairs can rev up any setting. The versatility of this chair easily conforms in different environments. The frame is designed for all-weather use making it a great option for indoor and outdoor settings. For longevity, care should be taken to protect from long periods of wet weather. The legs have protective floor glides that prevent damage to flooring. So whether you're using this stool for your kitchen, patio or bistro, it is sure to liven up your decor. HomeCrate Sagging Cushion Support Sofa Couch & Loveseat - 19" x 44"